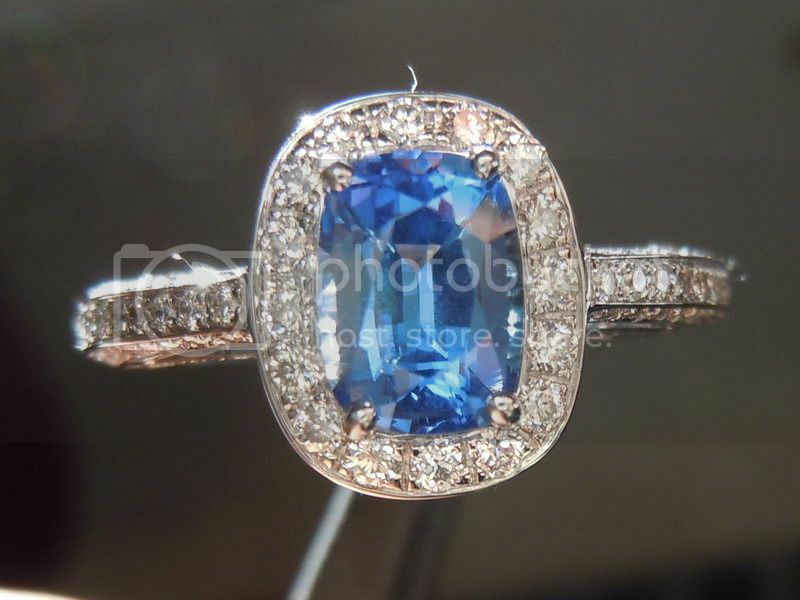 We are now working with master gemstone cutter Roger Dery. 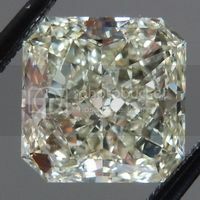 This is a precision cut stone, cut by Roger. 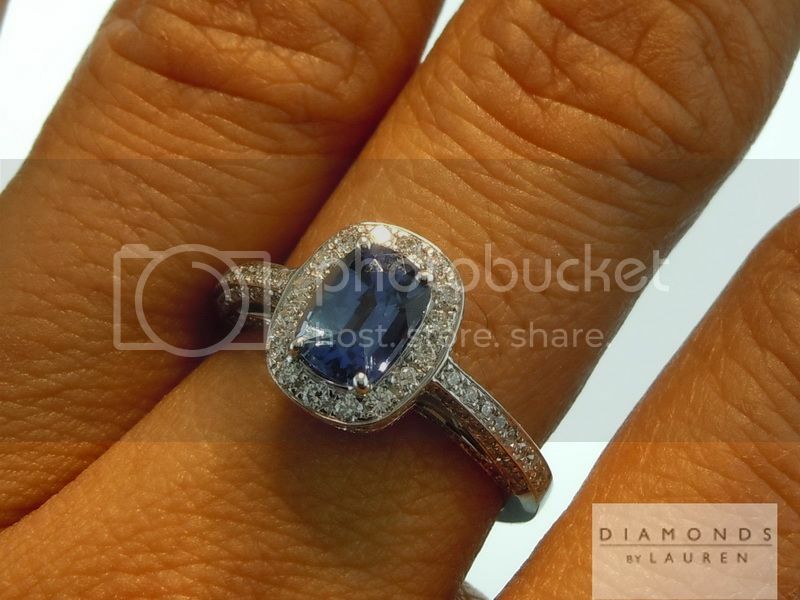 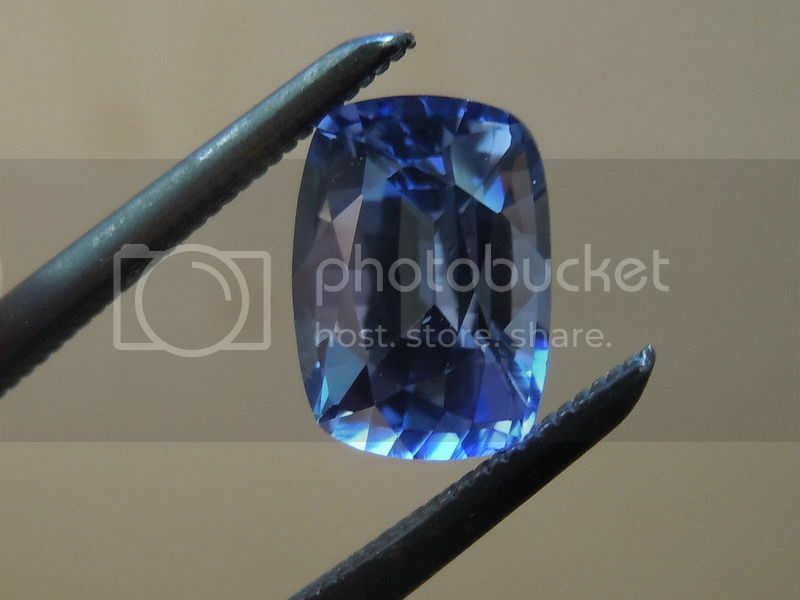 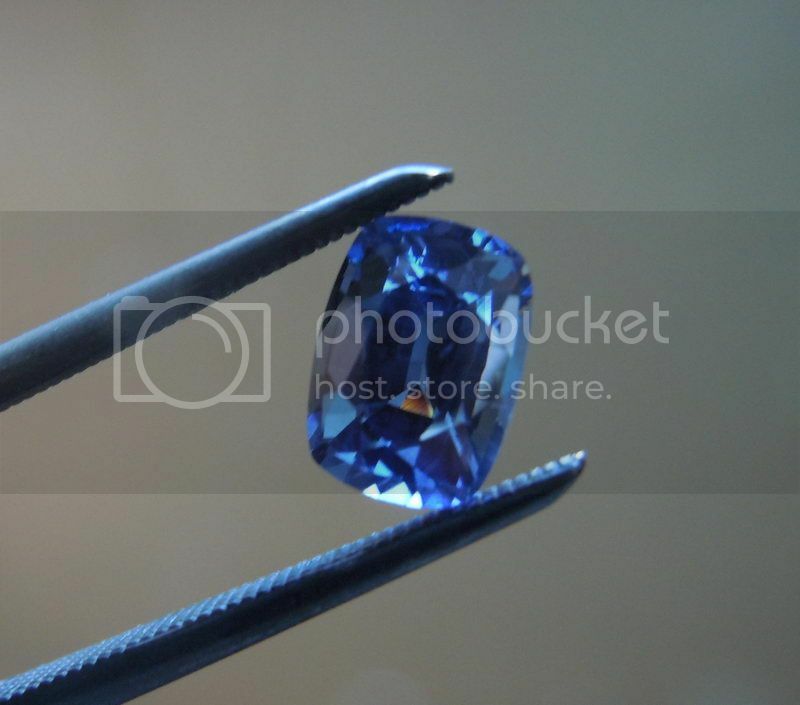 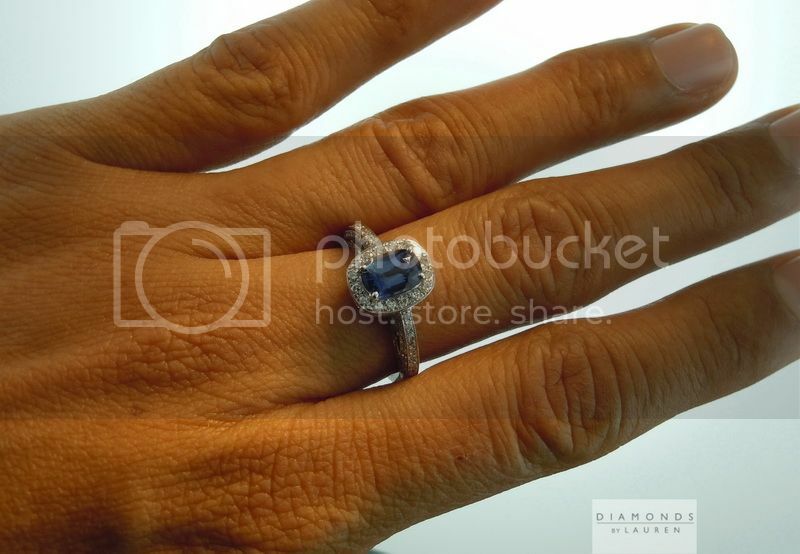 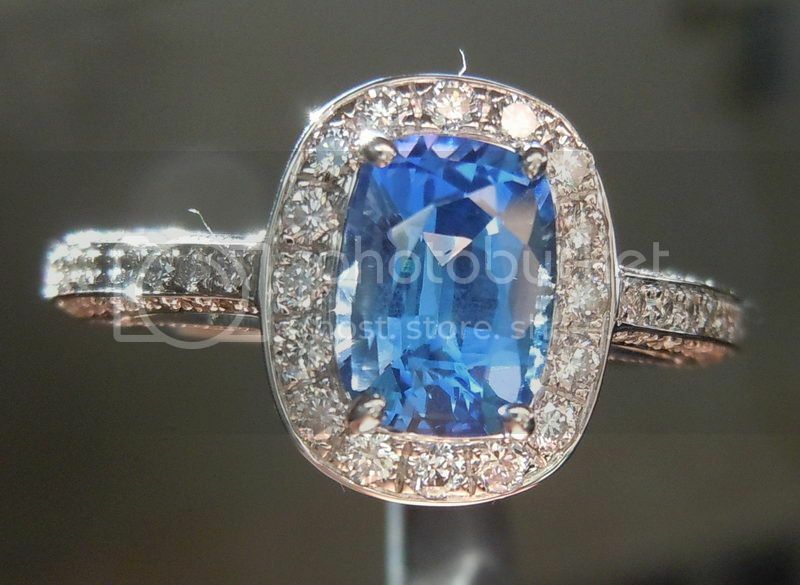 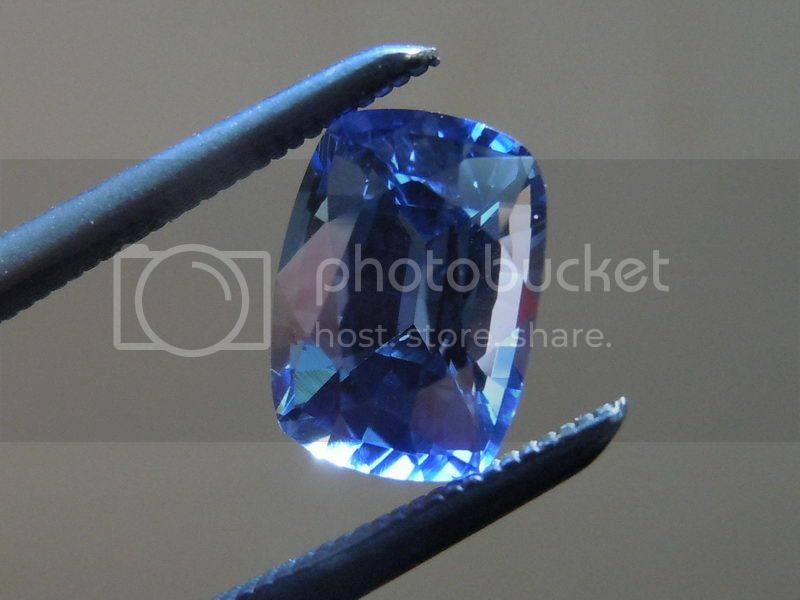 Here is a stunning Blue Cushion Cut Sapphire. 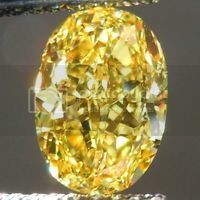 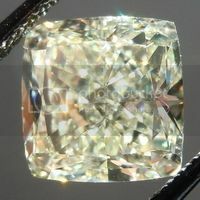 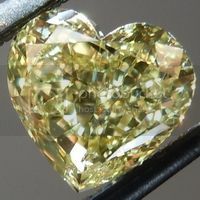 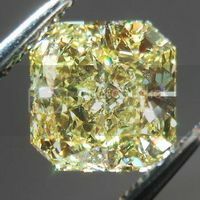 The country of origin for this stone is Sri Lanka. 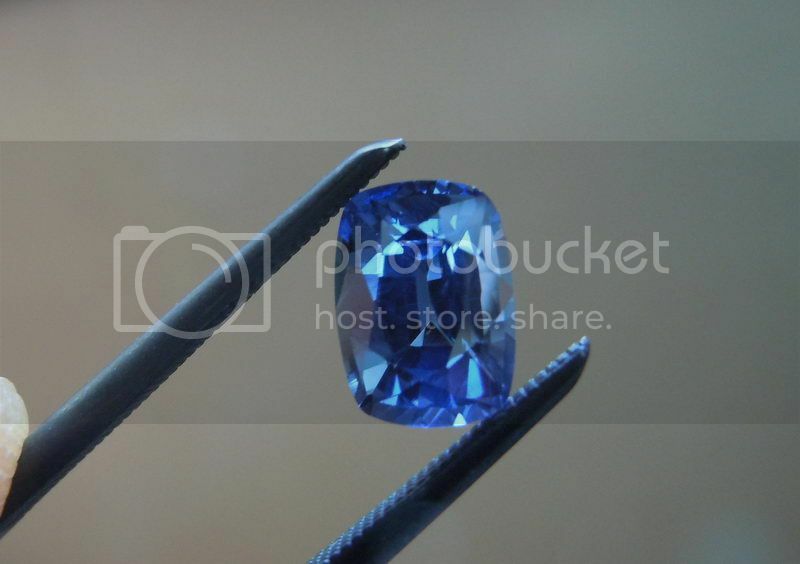 The color is great shade of blue - very rich in color. 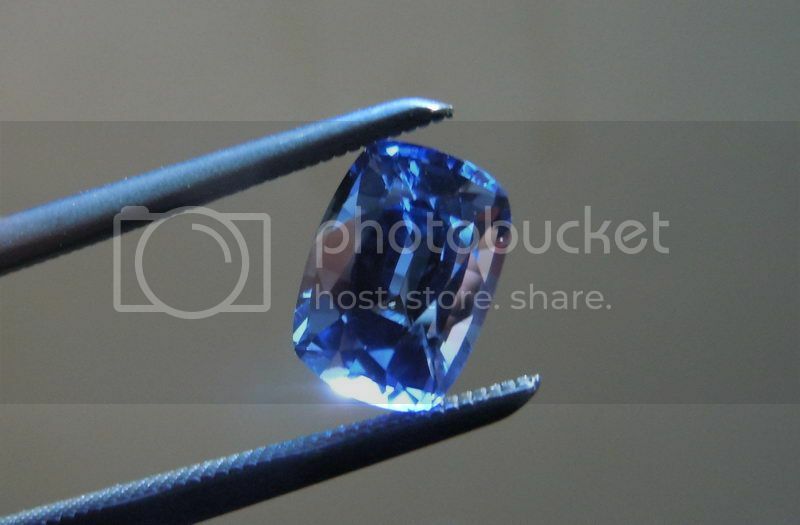 The stone is very lively thanks to the amazing cut. 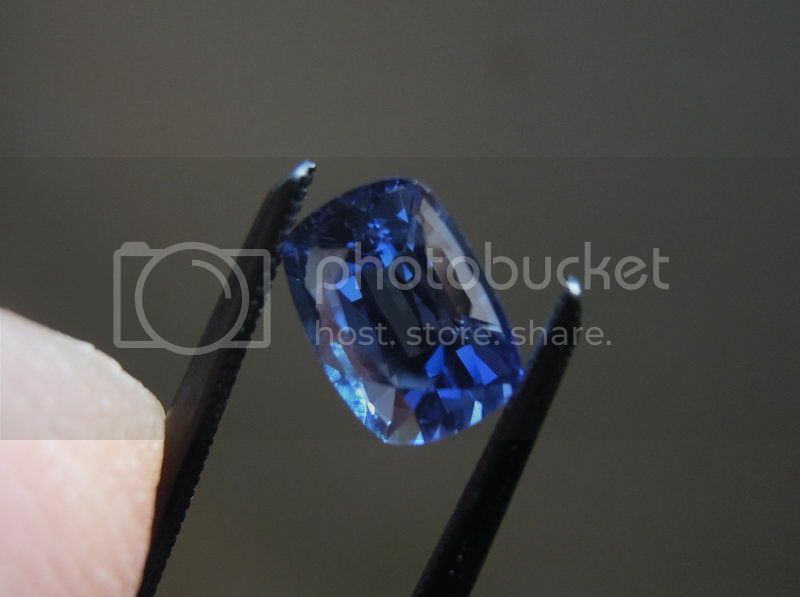 Now set this sapphire has really come to life. 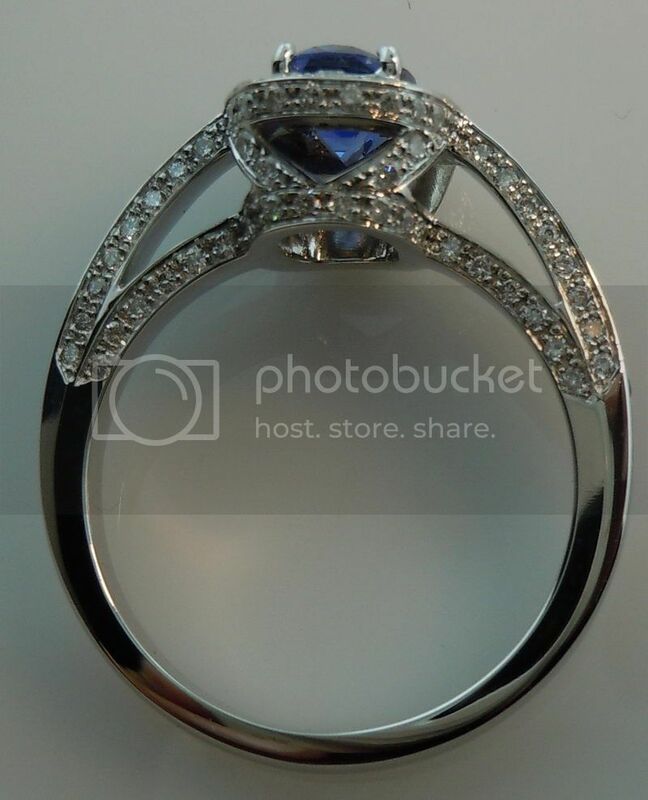 The setting is amazing. 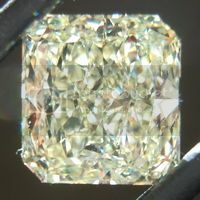 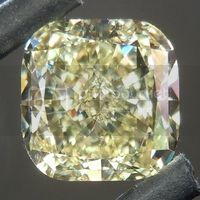 Sparkling diamond are visible from nearly every angle of this ring. 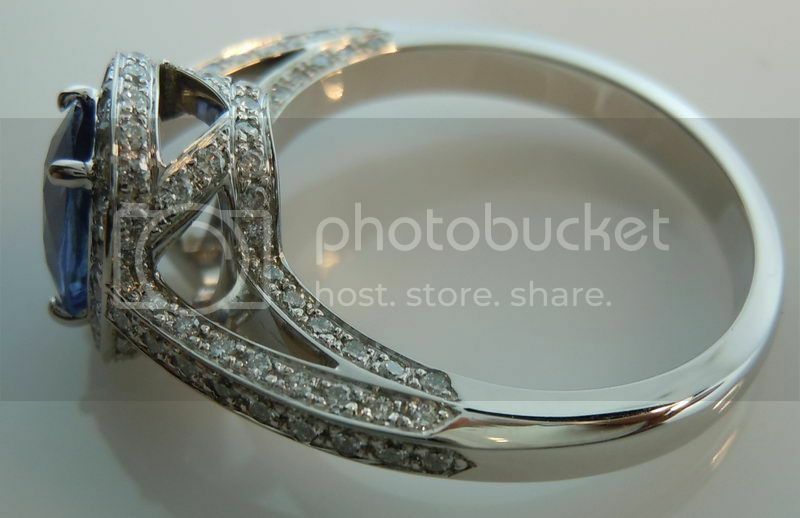 The lines are simply beautiful - graceful and elegant. 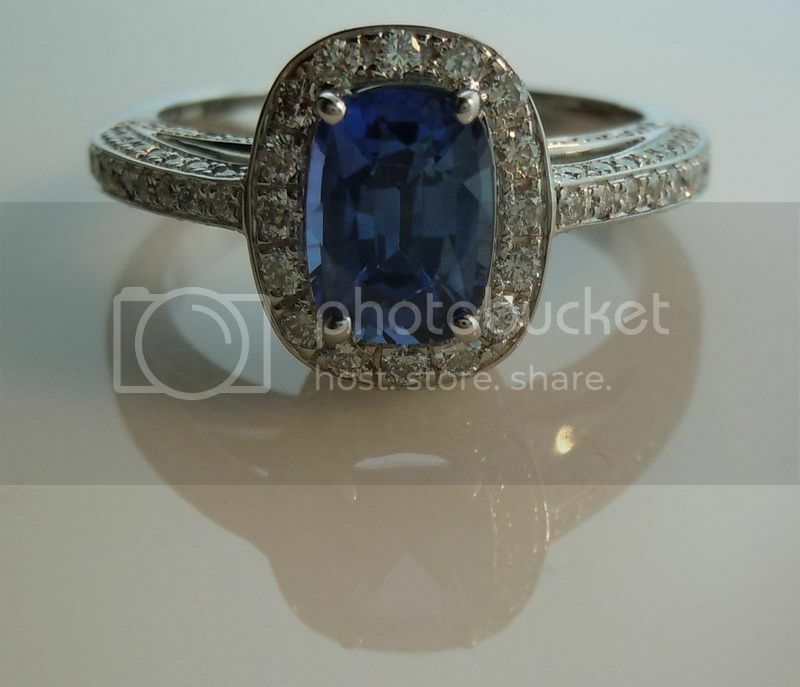 This ring is ultra feminine in feel.